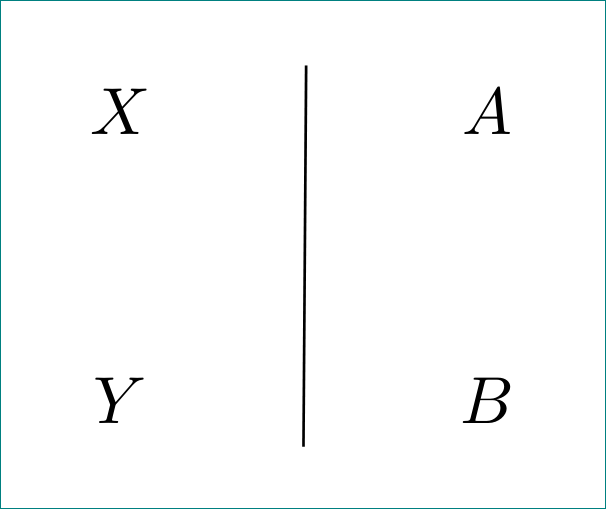 I'd like to draw a vertical line to separate the two sides of the matrix. I realize one can extend the matrix and such but I'd rather have something that is a bit more general and doesn't explicitly depend on a bunch of stuff(such as specifying nodes, extending the matrix size, computing mid points using some package, etc). (this way it works for more complex examples). Telling TikZ to continue the previously-drawn path with a line-to operation?